If you've ever run a race, or played a soccer match, or competed in any sport or non-athletic competition, you know that Yogi Berra was right when he said, "It ain't over till it's over." I believe that statement wholeheartedly. I think that maintaining a finish-to-completion attitude is what has driven me to write, to publish and do everything that it takes to go from "Who the hell is that?" to best-selling author. Believing that thinking about quiting is pretty much the same as quiting. I learned a long time ago that if you work hard, daily pursuing your dreams, you can accomplish anything and overcome the barriers that are in your way. I used to run cross country in high school and I learned then that if you quit just because you are tired, or your legs feel like rubber, or your lungs are burning, or the guy in front of you is a quarter of a mile away you CANNOT stop, you cannot quit, you cannot let up. Hard times, the exhausting moments when you feel like dropping out, are the very moments you need to push harder, if you want to win. I won a few races back then, but it had nothing to do with natural ability. We had plenty of guys on our team with more talent than I did. I think, and I still do, that my greatest strength is my will. And I further believe that the will to improve, the will to succeed is what it takes to survive in the publishing game… and it is a game with other players with strategies and tricks up their sleeves. But you my friend, without a strong will, you might as well stop running, slump your shoulders, and watch everyone else run past you. Not everyone thinks this way, of course. And they have every right. 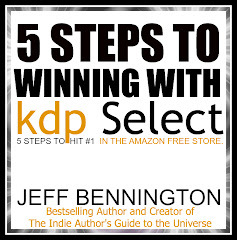 But the reason I'm writing this post is that I've read a few blogs lately from folks wondering if the "Indie Revolution" is over, or if the "Amazon Self-Publishing Bubble" is about to explode. I'm not going to debate if any of that is true because there is no way anyone can foresee the future. Like anything else, many will quit, or get tired, or stop writing, or get frustrated by a lack of sales. That is only natural. Just as a new group of writers will publish today, so a new group will drop out. 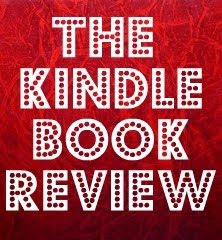 The talk about 99¢ books wrecking indie author's sales ranking and the drop in sales lately has got many worried. But why? Selling books is an online retail business, and all businesses have cycles and trends that go way up and way down throughout the year. Stop worrying about that stuff; it's a waste of energy. To those who are frightened, or uncertain, or spinning their wheels trying to figure out how in the hell you are going to sell more books this month than you did last month, I'd urge you to stop worrying and keep going, keep writing, and keep improving your craft. Don't stop. If you feel like quiting, go ahead. I won't stop you. But if you want to keep at it there is reason to persevere. Publishing is not about immediate gratification. This is a long hard process and there are a lot of books in your future and in mine. And it may take the rest of our working years to make it worth it, or to write the one book that we must before we die. So I don't have time for could haves. And I bet you don't either. Below is a video about one of the greatest comebacks in the recent history of sports. In this video, Tracey McGrady, who at that time was playing for the Houston Rockets and looking at a big loss against the San Antonio Spurs. But he did something amazing; he scored 13 points in the last 33 seconds of the game, all three pointers and one 4 point conversion. It was an amazing feat, but the thing that makes this clip so special is not that it was amazing, but that it was impossible. No one would have ever believed that a player could accomplish something like that… but he did and it was beautiful. If you are down by 12 points with only 33 seconds remaining, remember this video. Don't quit. 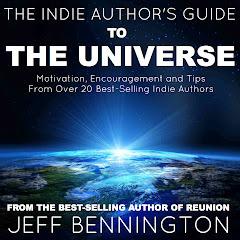 Jeff Bennington is the best-selling author of Reunion, Twisted Vengeance, and The Indie Author's Guide to the Universe. One thing struck me as particularly interesting about your post, Jeff. You mentioned that you learned perseverance wins out through physically abusing yourself (that sums up my thoughts on cardiovascular exercise). I reached the same conclusion through a different type of self-induced physical abuse: power lifting. Hi jason, I think you are absolutely right. But I think for many of us, excessively physical pain is the only way we could have learned. The good thing is, now that we know it is in our head, we can run just a few less miles. Awesome post and video, Jeff; couldn't have come at a better time, for me :) shared! Hi Sandra, Glad I could provide a little motivation. Sometimes I write posts like this to motivate myself! Thanks for reading and commenting. I used to stop running when the leg muscles began to burn and breathing became difficult. Then one day in Basic Combat Training, a sergeant stuck his boot up my posterior and showed me that these things were no reason to quit. Behold, I discovered that I could run further, a lot further. Thanks, Sarge. It's a lesson that stuck. Selling your book(s) has never been a sprint - even though many authors hope it is - unless you can tap Oprah for an endorsement. Hi there, Jack. Thanks for stopping by. And thanks for your comment. I never served in the military but I certainly appreciate what you did for our country. Thanks. And I certainly appreciate what a 10-20 mile run can do to ones legs…talking about your posterior kicking. Come back any time. Hey Anthony, Always appreciate your comments and reminders. Not sure I'll be on Oprah's top 10 anytime soon, unless she's into scary stories. So sales are down generally? And I figured it was just my book. Thanks for a sensible and encouraging essay. Hi Mary, We will always have hills and valleys. But for some reason, I have the propensity to take it personally. Sometimes I need to remind myself of the valuable advice I've been given. And I know this may sound syrupy, but I write and publish because my spirit cries out to do so. I think you do too (and so do a bunch of other bruthas and sistas). Success can be defined in many ways, but failure in only one ... quitting! Just want to chime in after just discovering The Writing Bomb and finding your advice and commentary as good as it gets. Being in the middle of a technology revolution when you're an early adopter (or a pioneer) can often feel like things are grinding to a halt. Right now it's summer and we just came through last Christmas season which was as explosive as any market spike I've ever seen. The other thing that's hopefully going on is that folks who aren't really writers are off licking their wounds and trying to figure out what's wrong. That said, quality control is so important. Maybe summers are the right time to do book production, editing, copy-editing, planning and writing...waiting for September when sales pick up again. At any rate, keep up your great work Jeff. Gonna blast some stuff off to folks about Writing Bomb this week. Hi David, Thanks for the promo work and kind words. This post couldn't be more true or timely for me. I've been letting a lack of sales depress me just as many others are letting themselves be bogged down. 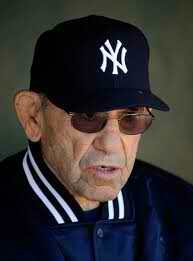 You wrote, "Yogi Berra was right when he said, "It ain't over till it's over."" Exactly! And only WE can call ourselves out of the game and quit - or keep pushing and growing and learning. It's not an easy road, there are no real "tricks", and there will be highs and lows along the way. 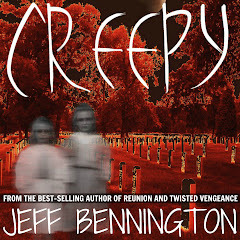 Thanks, Jeff - love your blog!